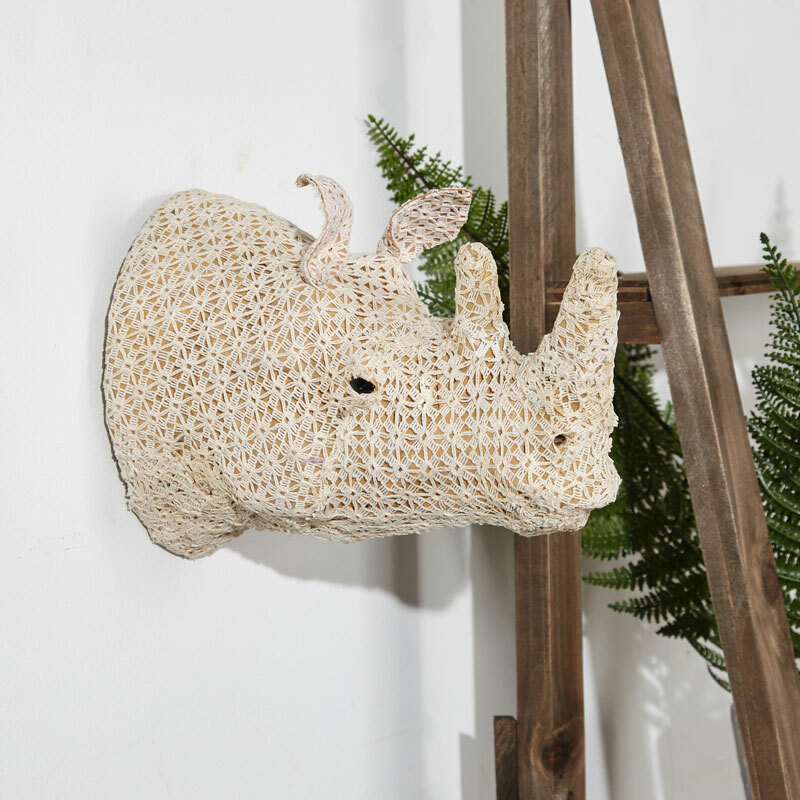 Make your home a fun place with the addition of this fun wall mounted rhino animal trophy head. Perfect for displaying in the living room or hallway. Giving the feel of the African safari, this rhino head is a much more animal friendly way than the alternative. Crochet design in a cream cotton covering for a unique look. 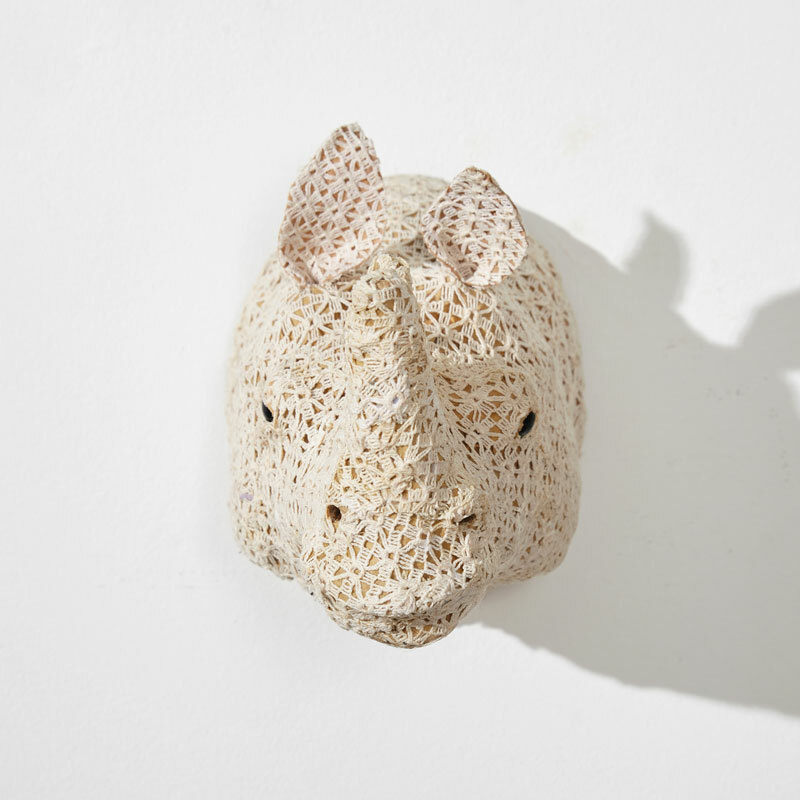 With so many more animal heads to choose from, this rhino head is the perfect addition. Cleverly constructed from paper pulp over a wire frame with a cream cotton crochet covering. Easily wall mounted with a hole on the back for wall mounting.